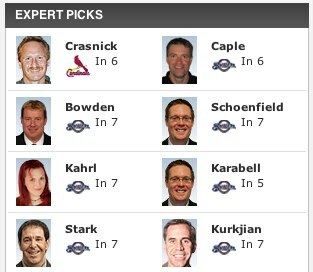 Cardinals, Cardinals, Cardinals! From Squirrels to dancing on a broken Ryan Howard, to a defeat by the Brewers, this weekend was all Cardinals, all the time. Even we succumbed to the fever by live-blogging the NLDS Game 5 and NLCS Game 1. 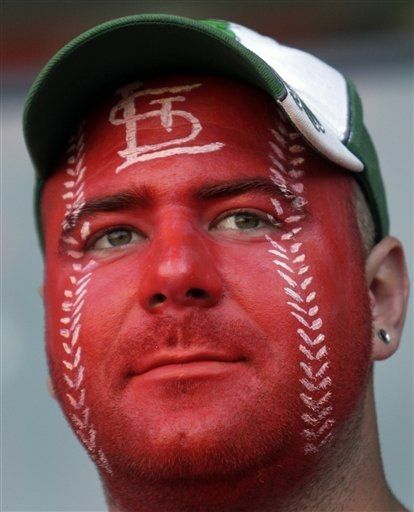 We didn’t go all in and paint our face like a giant red Cardinals baseball, like this guy, but we just decided to wear our red Cardinals hat instead of our stupid green one. Just seemed easier. 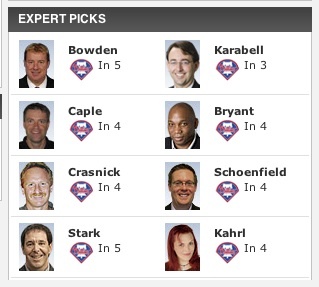 Ok, enough about baseball! What “real news” happened in St. Louis over the weekend? Eh, about the same as always: We can’t drive and love to shoot each other. 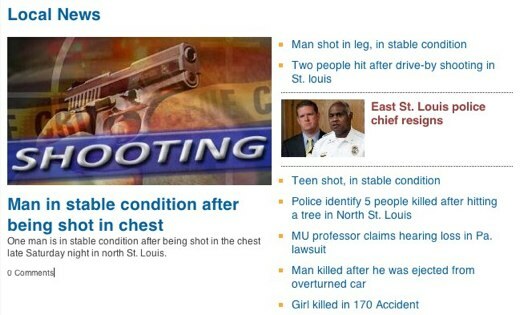 Tell ’em KMOV homepage! If you just aren’t feeling in a count kinda mood, that’s four shootings, three fatal car accidents and one lady that got hearing damage in Pittsburg. Oh and at least one man who’s job it is to deal with all of this stuff said “Screw this.” and left, but you already knew about that. That’s your St. Louis weekend in a nutshell!